Construction Chemicals, as the name suggests, are the chemical compounds used in construction activities, be it residential, non-residential or non-building. These compounds belong to a niche specialty segment of the chemical industry and can be used either in existing construction projects to speed up the work or in new construction projects to impart durability and strengthen the structures. Construction chemicals increase the cost of the project by 2-5% but the benefits are multi-fold. Certain chemical products help in minimizing the quantities of cement and water used in the construction. These compounds impart chemical as well as physical properties in applications such as cross-linking or phase change (from liquid to solid). Construction chemicals are essential for high quality concrete and for promoting the improvement of concrete performance. They also increase the life of construction work and impart additional protection from environmental hazards. Based on end user applications, these compounds can be broadly classified into five categories. Sealants, grouts, protective coatings, adhesives etc. Housing and construction needs are growing rapidally all over the world. But construction industry is facing many problems. some of them are as below. Use of poor quality construction materials. Due to above reasons voids and gaps remain in the structure making many problems such as leakages and seepages. Cause of leakages and seepages is capillary pores,crevices,micro cracks in concrete,enviromental effects,thermal effects,water absorption etc. Leakages and seepages causes corrosion of R.C.C.,spalling of concrete,decoloration,staining,dampness,health hazards,weakens the structure and finally the construction. Mr. 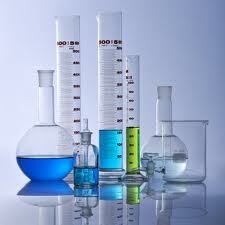 Expert range of construction chemicals is unique solution to overcome the abovesaid problems. Our construction chemicals are manufactured under strict quality control and as par the most international quality standards.